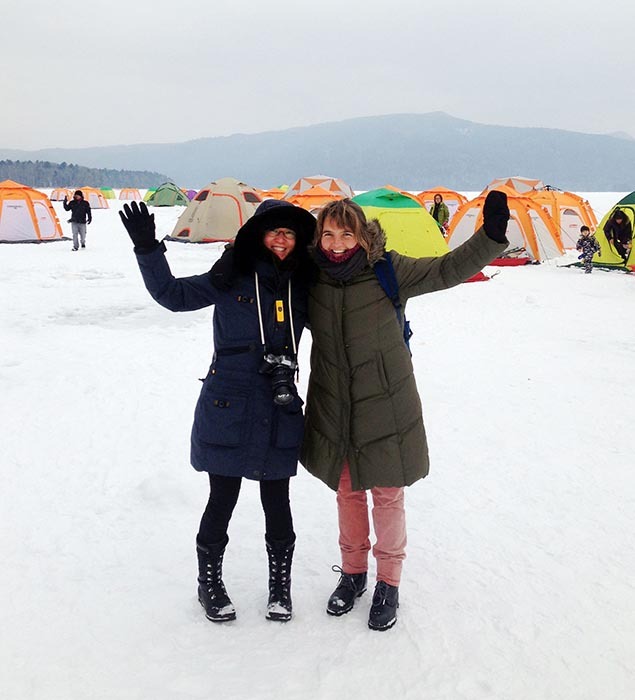 This past month of February we had the pleasure to take a nice couple from Philippines to a 6 day private tour throughout Hokkaido. Toti and Josephine, architect and artist, are both photo lovers. 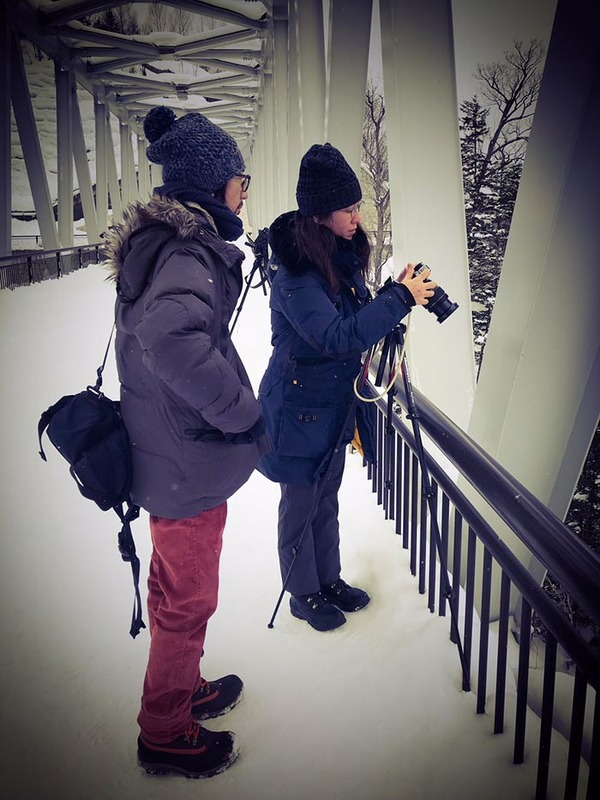 That is why they decided to celebrate their 25th marriage anniversary doing a photo tour in Hokkaido. They already knew a lot of places in Japan but had never been to the north. 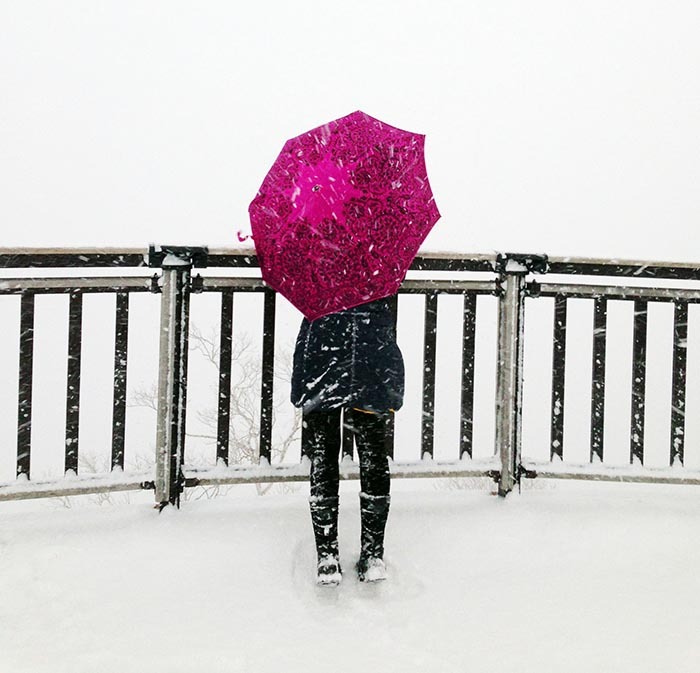 In the beginning they considered the possibility of doing the trip on their own, but once they realized about the difficulties of organizing a trip to Hokkaido, especially in winter, they decided to contact Akashi Travel. Since they couldn’t go with our Hokkaido photo tour for small groups because of the schedule, they decided to ask about a private tour. After a few emails we agreed on the route, the places to shoot, and in about 3 weeks everything was set and we were all ready to start this adventure. 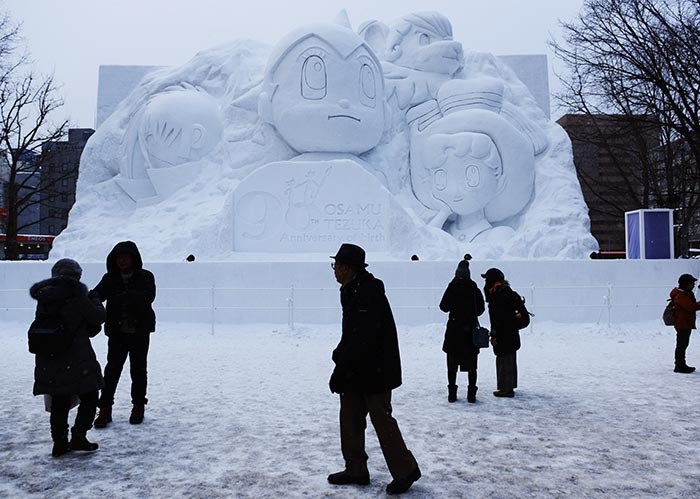 Our tour started in Sapporo, where the Sapporo Snow Festival was being held. 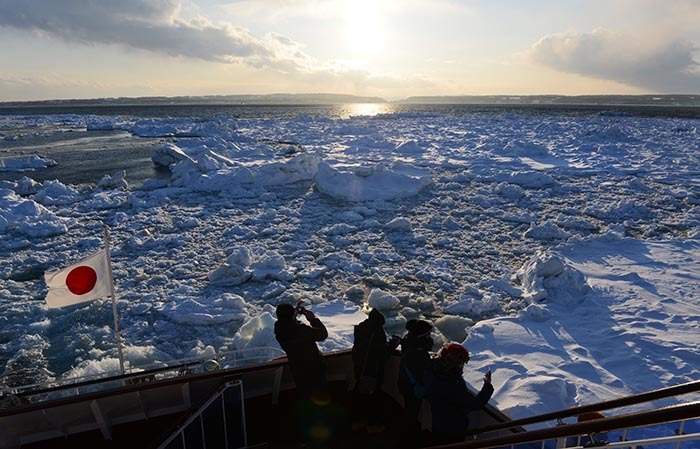 This is one of the major events throughout the year in the capital city of Hokkaido, so it is probably the best time of the year to visit the city. 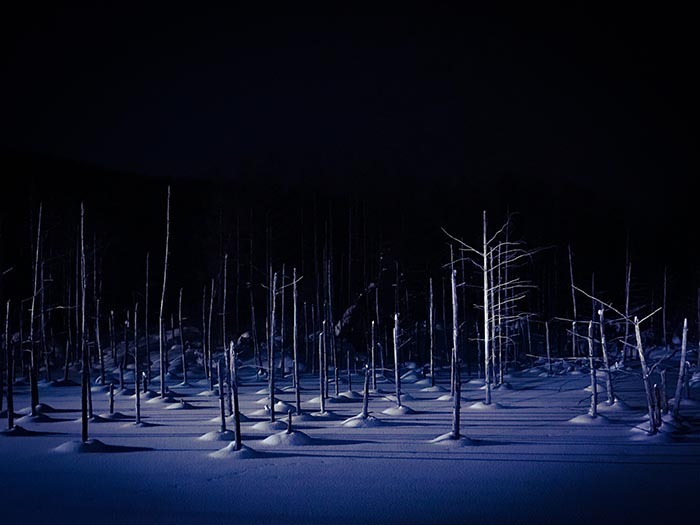 We photographed the gigantic ice and snow sculptures lighted up at night. 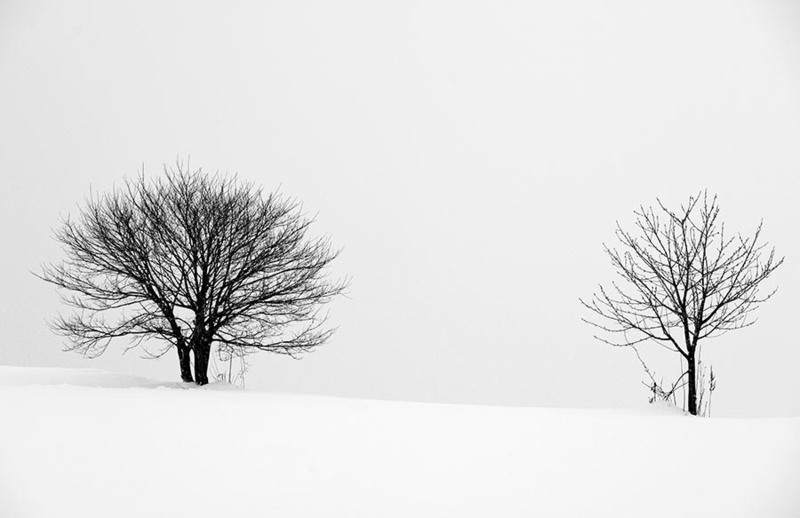 From there, we moved to Biei, famous for its snow white covered beautiful hills and minimal landscapes. 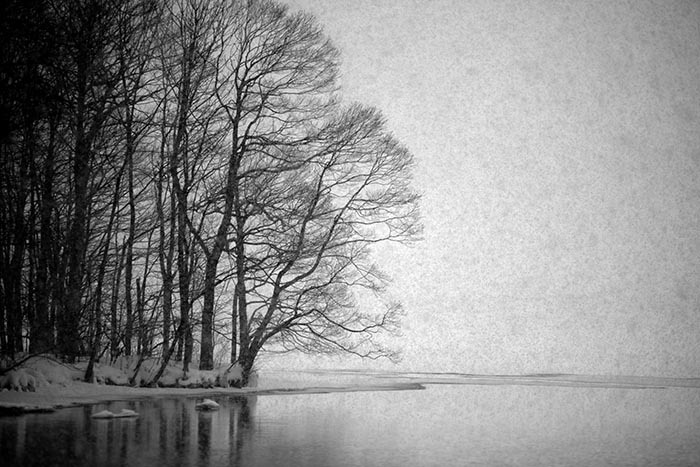 Despite the low temperatures and the snowstorms now and then, we had a great time trying to frame our best shots in what would become a B/W perfect scene! 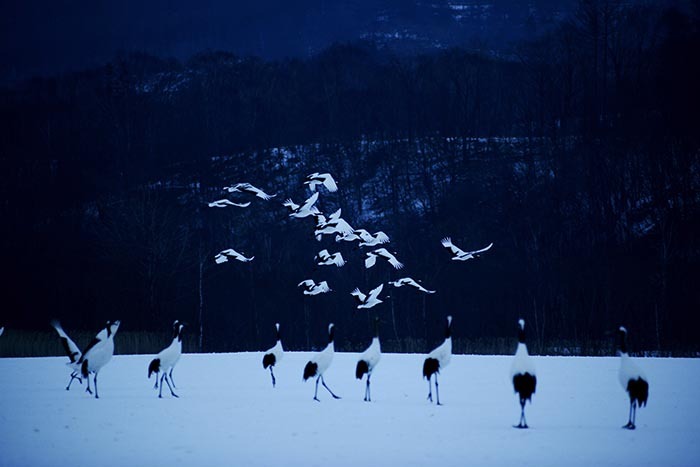 From Biei we drove towards East Hokkaido to photograph the Japanese red crowned cranes in Akan and the swans in lake Kussharo. 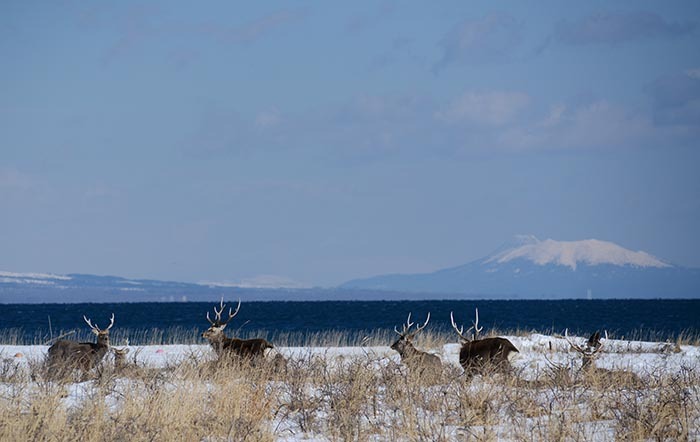 Hokkaido in winter is a perfect place for nature, landscape and wildlife photographers! Hard to believe how close you can get to all the animals without the need of having an extremely long lenses with you. 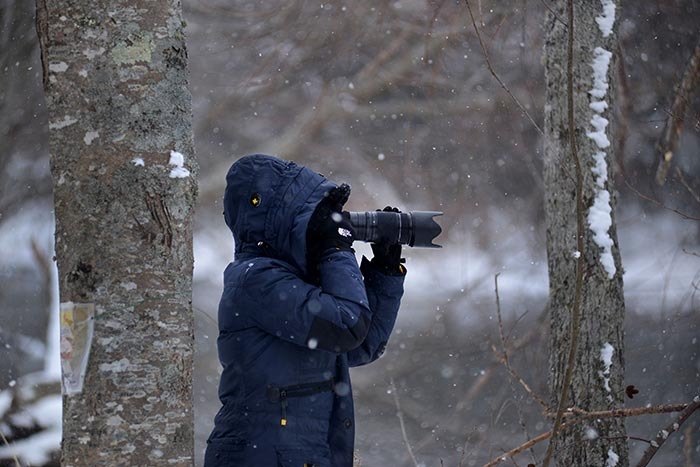 Finally we got as far as Notsuke peninsula looking for fox and eagles. 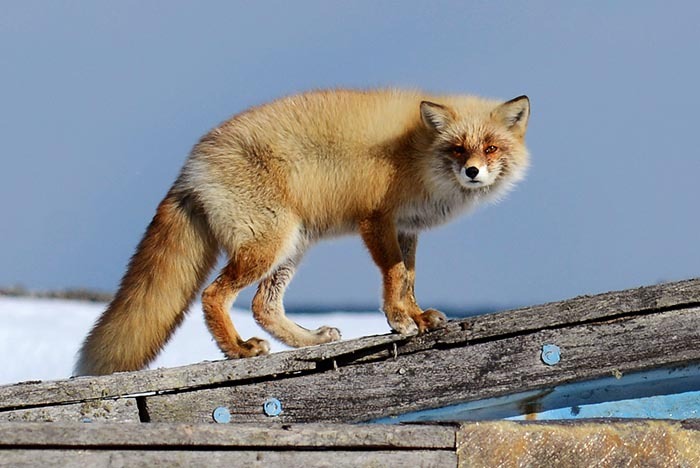 We found a few foxes and photographed them really well. And unexpectedly we came across with a group of deer!! Best thing when you do a private photo tour for only two of you is that you can stop wherever you want, for as long as you want, to capture the scenes that inspire you the most! We take care of you, you take care of your pictures! Let your creativity go wild while we care about all the details throughout the tour. Choosing hotels, booking them, driving on icy/snowy roads, searching for best routes, great restaurants with local food, calculating times to the to the right place at the right time … we take care of all that. You just shoot! !